Step 3 Want a Pocket? The new Classic fit is better than ever. It's a truer fit, trimmed through the body. It's shorter — go ahead & leave it untucked! End on End. Blue solid fabric. Blue Gingham. Blue gingham fabric. Pink Gingham. Pink gingham fabric. 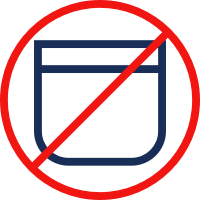 When you choose a pocket style, you will be navigated to a product detail page for the shirt that matches your selections. YOUR FAVORITE SHIRTS JUST GOT BETTER. feel of our shirts, and we listened. With extra attention to tailoring, they look and feel awesome. Check ‘em out! Why’d you guys change your shirts? Because we take your feedback seriously! We listened to your comments and suggestions and made our shirts even better. 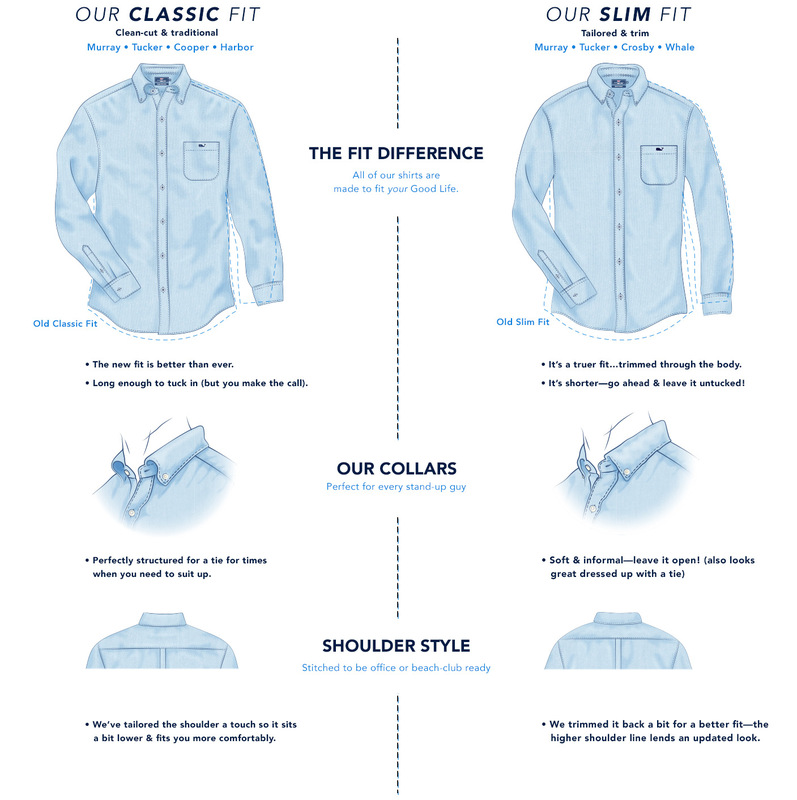 We’ve upgraded the fit of every shirt we make, giving extra attention to the tailoring. What’s the main difference between the two fits? 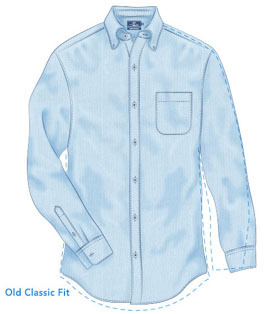 The Classic Fit is a more clean-cut, traditional fit. The shirt is designed to be long enough to tuck in. Meanwhile, the Slim Fit is tailored and trim. It’s a truer fit, trimmed throughout the body, and a bit shorter so it can be worn untucked (or tucked). Are the collars any different? Yes! The collar on the Classic Fit is perfectly structured for a tie. 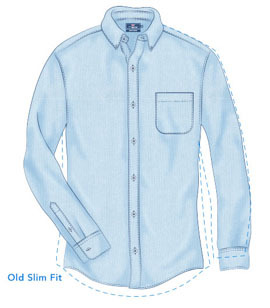 On the Slim Fit, you’ll find a softer and more informal collar—which can be left open, if that’s your thing. It also takes a tie nicely, of course. The Classic Fit features a tailored shoulder that sits a bit lower. The Slim Fit shoulders have been trimmed back a bit and feature a higher shoulder line. What should I pair with each shirt? We recommend pairing our Classic Fit shirts with our Breaker Pants. Our Slim Fit shirts look awesome with our new garment-dyed Slim Fit Pants or our Five-Pocket Pants! Do I have to change sizes? Yes and no! If you’re on the line between medium and large, we’d say bump it up. But, the goal was to make our shirts fit even better; so, feel free to stick to the size you’ve always worn.